Perhaps last winter didn’t seem all that abnormal to you. Of course, that depends on where you live. Many places across the country (and world) experienced winter weather that was harsher than normal, and it had a direct effect on propane depletion too. If you use propane as a heating source for anything during the winter months, then you can probably attest to the fact that the cold conditions of this last winter raised the demands beyond normal. In fact, some sources are reporting this last winter as one of the coldest and longest in recent memory—at least for us in North America, that is. According to TheStar.com, natural gas prices, propane included, have increased significantly since last year, and analysts attribute the climb to an especially cold winter. While transportation cost grew by 8 percent, it was the cost of storage that hiked even higher. According to the report from TheStar.com, cost for storing natural gas grew by 38 percent. And that could translate into as much as thirty-three extra dollars per month for an average consumer. 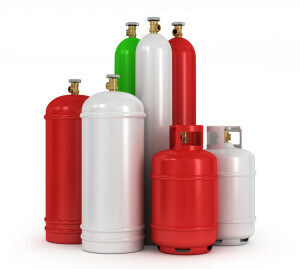 More than ever, ensuring optimal storage for your propane or other natural gas is of prime importance. With costs going up, you’ll want to make sure you don’t lose any of your precious propane over the winter months, and we’re not talking about limiting usage either. When you’re working with propane during cold weather (and this goes for any natural gas) it’s of extreme importance to maintain tank pressure. However, tank pressure can be drastically affected by cold temperatures. This is because tank pressure is maintained in two ways: fluid levels and temperature. Keeping fluid levels high is a task in and of itself, but keeping your tank at an ideal temperature to refrain from depleting your stores may seem next to impossible, being that most propane is stored outside. Well, it’s not impossible. In fact, it’s quite easy and trouble free with Powerblanket’s propane heaters. Powerblanket’s patented technology delivers an even and consistent distribution of heat to ensure that the tank remains at the temperature it should, regardless of big drops in degrees. So don’t sweat through the summer worrying about another long winter to come. Instead, reach out to us at Powerblanket and solve the problem before it starts.